Rich Ride Casino invites all experienced players from the UK to get this deal. Log into your account and make a minimum deposit of £10. 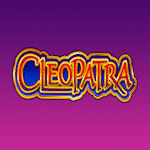 You will get a 100% second deposit bonus up to £150 plus 25 Spins on Cleopatra. Take advantage of all your funds and enjoy your time. Withdraw your cash from the spins after you’ve wagered it 30 times. The match deal has different requirements. For any cash-outs, you must play through the deposit and bonus amount 30 times. The conversion from the bonus funds is limited to 4x. Contact support to get this deal. Don’t waste any time and claim this offer right away!